Physical and occupational therapy both offer patients hope for a return to wellness. During therapeutic sessions, individuals must often push themselves to reach goals that seem impossible. The last thing these patients need is a facility that limits their potential success. 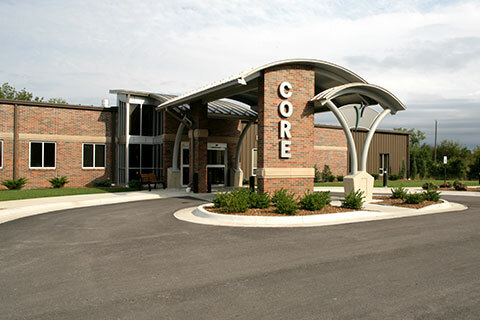 Health Facilities Group designed the Labette Health Center of Rehabilitation Excellence (CORE) to ensure that therapy participants have the opportunity to thrive in all their pursuits. The 10,500 square foot Labette Health Center of Rehabilitation Excellence (CORE) serves as Labette Health’s new PT/OT facility. Design features include a full-size pool, men’s and women’s locker rooms, and seven PT stations. Additionally, a public fitness area with a variety of exercise equipment promotes community wellness. Health Facilities Group found its extensive experience creating spaces that accommodate large and complex medical equipment to be invaluable during the design process. Likewise, HFG’s expert knowledge of ADA requirements ensured that this PT/OT facility could fulfill the healing needs of differently-abled patients.